I woke up at 2 am. Then went to Ancala Inn Hotel receptionist. We booked a Jeep to take us to Penanjakan Hill, the best place to see sunrise over Mount Bromo. Rental price was IDR 400,000 for trip to Penanjakan and to the caldera including the driver and fuel. We arrived at 2:30 and still dark at that time. After we park the jeep, we have to walk up to the hill top. During the walk to the top, you can find several souvenir stores and restaurant that offer coffee, tea,instant noodle and fried banana. The restaurant also sell scarf, hat and rain coat. Remember the weather could be below 0 degree Celsius. After ate fried banana, instant noddle and hot tea for an hour, I walked to the sunrise point view on the top. A lot of people already there and it was hard to find the best spot to take perfect photo. My suggestion is try to get there as early as possible and choose the best spot to take picture. These are some pictures that I took. It was amazing time and the sky was clear. What a wonderful sunrise. After enjoying sunrise on the top of the hill I bought corn grill on the way walking to Jeep parking. I was starving and It also helped local economy. Eating hot corn grill on the cold weather is a good idea. Rental price for Jeep was include trip to caldera. You can enjoy the sand dessert on the caldera and hike to the top of Mount Batok. 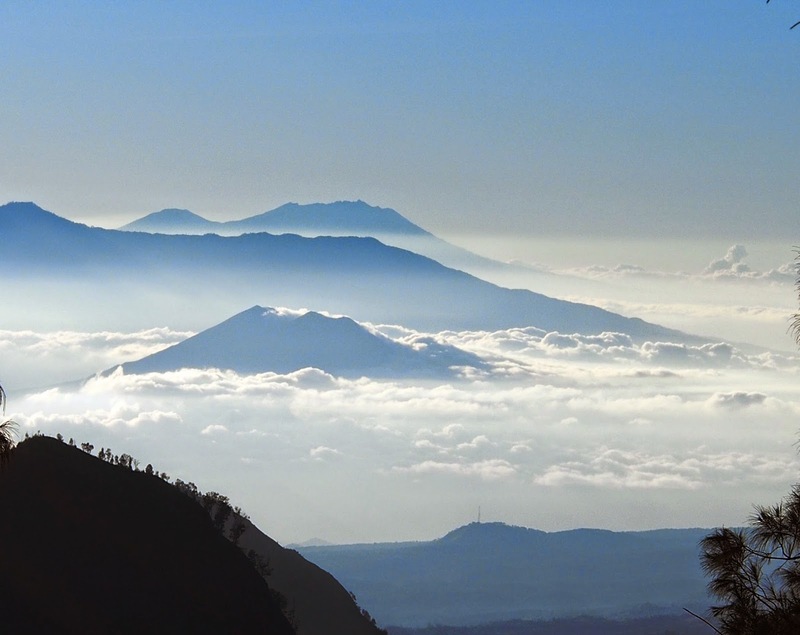 Another nice trip is to travel to different side of Bromo caldera. It is called savanna. You can take wonderful picture on the green savanna scenery. Because I had to catch up the shuttle bus to Surabaya airport that was provided Bromo Marathon committee, I decided to visit only Love Hill "Bukit Cinta" and did not go down to the caldera. 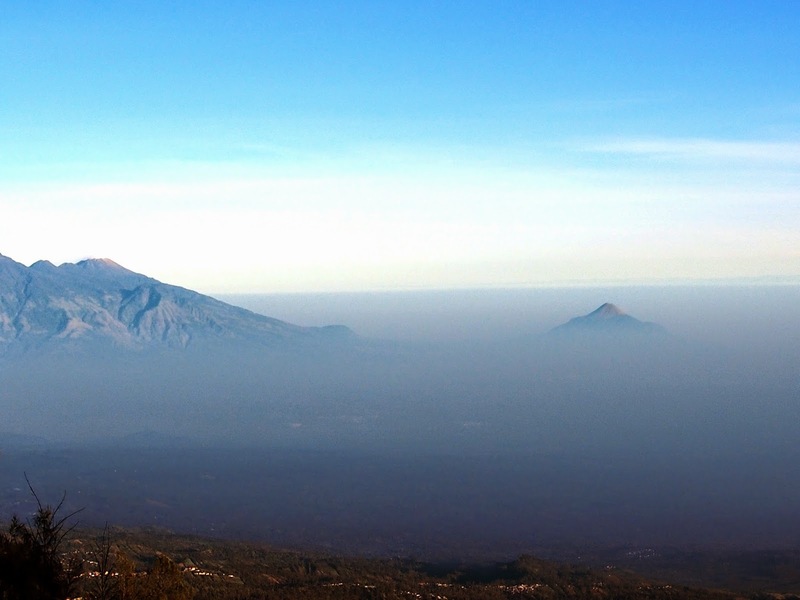 From Love HIll you can take picture of Mount Bromo and surrounding more closer.